August | 2014 | Schwervon! 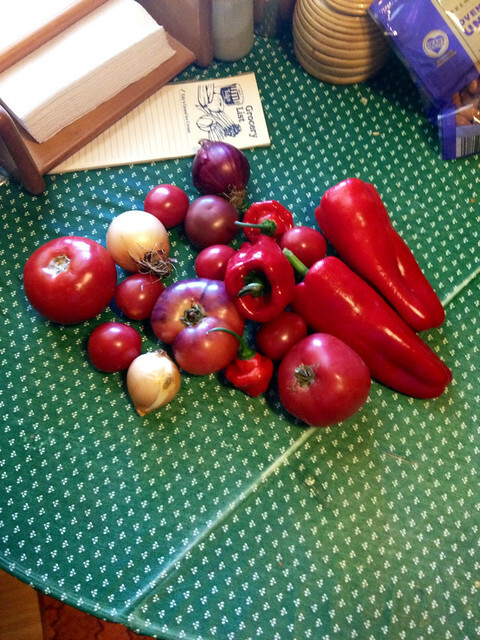 Onions and Peppers and Rock… Oh, my! We had two very satisfying shows in Kansas City this weekend. Friday we shared a smashing bill with Not A Planet and Katy Guillen & The Girls. And Saturday we played the Screenland Armour’s: Arts & Crafts Festival. Thanks to everyone who came out. We love you all very, very much. And hey, check out this awesome haul of homegrown veggies our pal Ben, from KC Live Music Blog, brought us to our show on Friday at RecordBar. I think he’s got more where that came from (also heard talk of some homegrown kale and carrots lying around). If you’re like us and you love fresh veggies you should totally get in touch with him. I’m sure he could strike up a some kind of deal with you. Saturday August 23rd we’re excited to be playing Screenland, Armour’s Arts and Crafts Festival in KC, MO. We’ll be joined by a slew of other amazing local bands including Deco Auto, Various Blond, Now Now Sleepyhead, & The American Life. The festival also includes over 100 craft beers, some local artists and some great independent films as well. Schwervon! is scheduled to hit the stage at 7pm!